Ms. Woeser began tracking down and interviewing people who appeared in the photos. 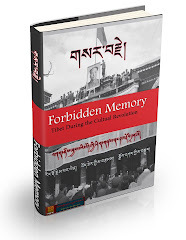 This resulted in two books published by Locus in Taiwan in 2006: “Forbidden Memory: Tibet During the Cultural Revolution,” based on her father’s photographs, and “Tibet Remembered,” an oral history narrated by 23 people who appear in them. Meanwhile, Ms. Woeser had begun taking her own photos, using her father’s camera, of the places he photographed. 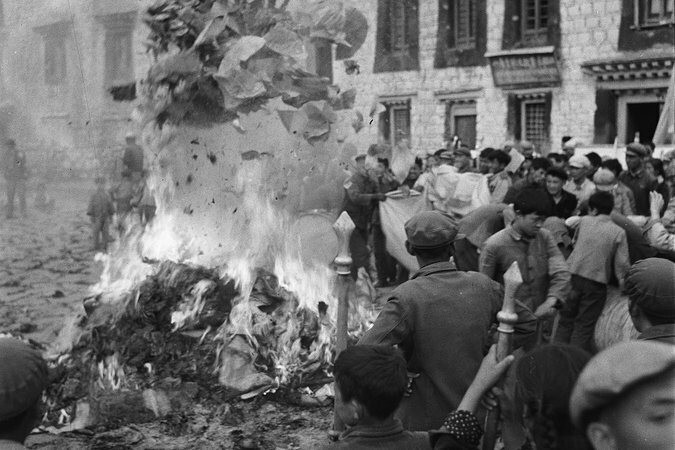 Many were included in a new edition of “Forbidden Memory,” published this year on the 50th anniversary of the start theCultural Revolution. 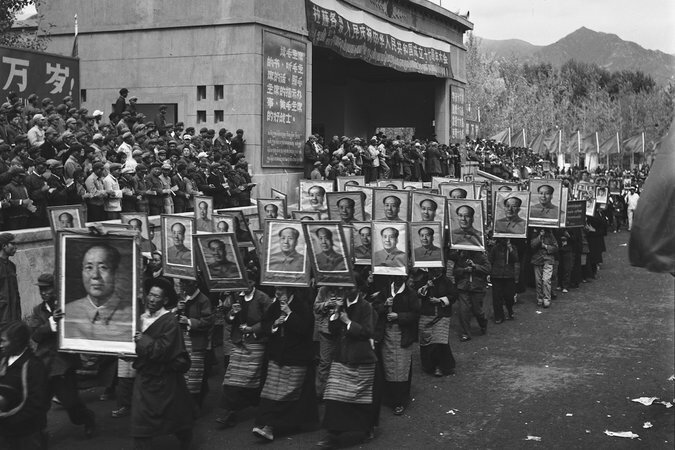 There were two “rebel factions” in Lhasa during the Cultural Revolution. One was the Revolutionary Rebels Headquarters. The other was the Great Alliance of Proletarian Revolutionaries Command, or Great Alliance Command for short. The two fought each other for power. In the later period of the Cultural Revolution, the Headquarters faction lost ground, while the other faction achieved total control, and retained it even after the Cultural Revolution [which ended in 1976]. Headquarters members were purged from the party. 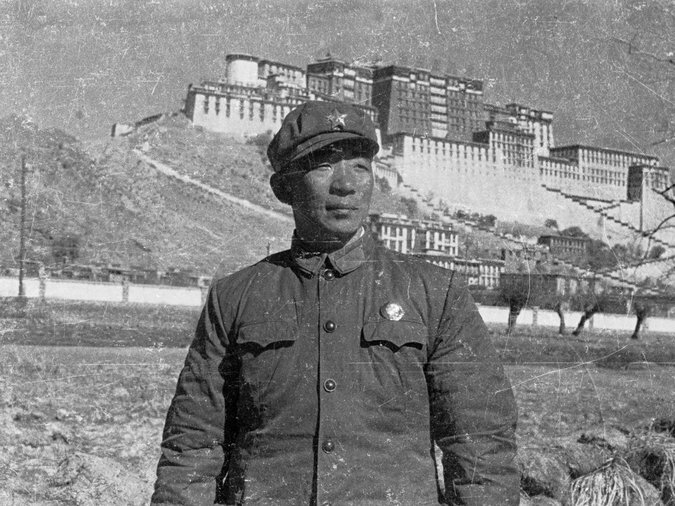 Tao Changsong was investigated on suspicion of belonging to the “three types of people” — “people who followed the Lin Biao-Jiang Qing counterrevolutionary faction,” “people with a strong factionalist bent” and “people who engaged in looting and robbery.” After the mid-1980s, he worked at the Tibetan Academy of Social Sciences and served as assistant editor of the journal “Tibet Studies” and as deputy director of the Modern Tibetan Research Institute. 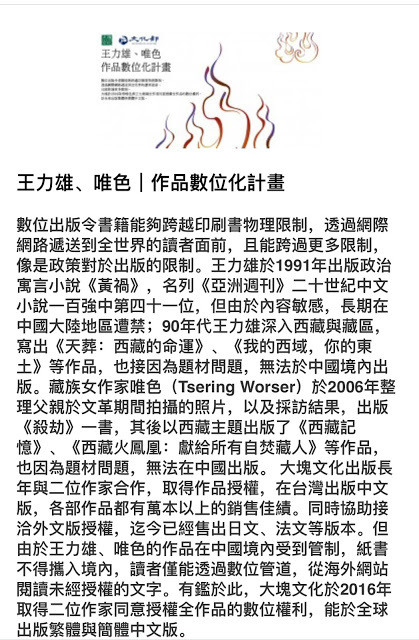 Now he’s retired and lives in Chengdu and Lhasa, where he is in good standing with the government. 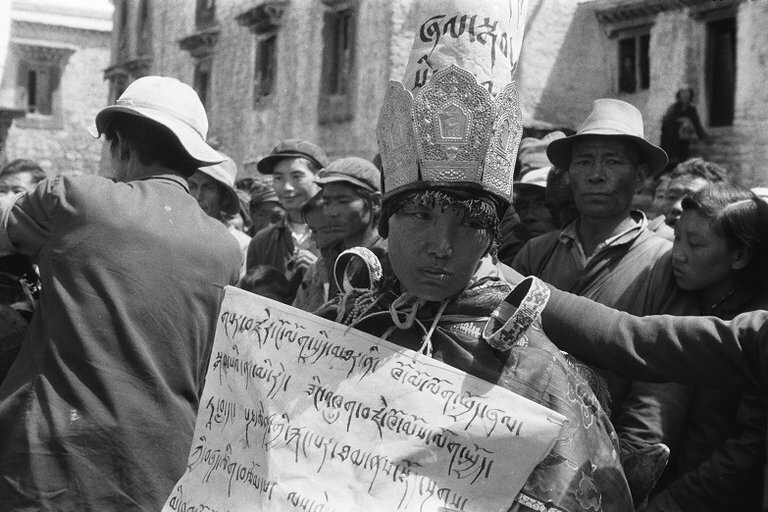 There was the Lhasa nobleman Sampho Tsewang Rinzin, from one of the most renowned noble families in Tibet. Sampho began working with the party in the 1950s and benefited from that. But he was cruelly struggled against during the Cultural Revolution, as you can see in the photos. 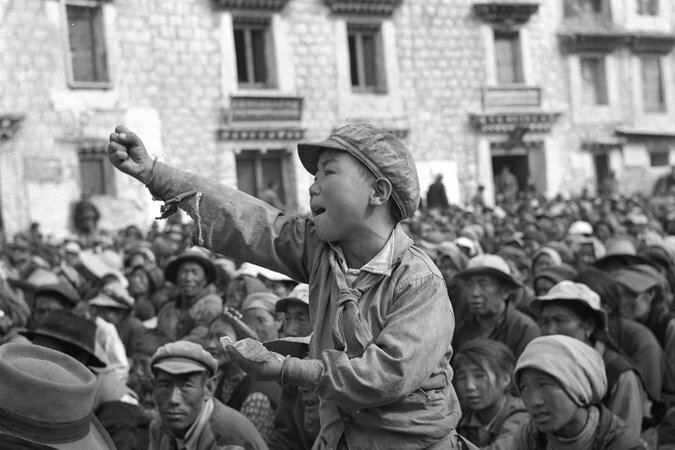 The Red Guards who were beating him made him wear the uniform of a senior minister in the Tibetan government, which as much as it made him look splendid, brought him so much humiliation and stripped him of all dignity, so that in the end he was sobbing in front of everyone. He died soon after this. Then there was the “female living Buddha” — an erroneous term; we call them rinpoche — Samding Dorje Phagmo Dechen Chodron. 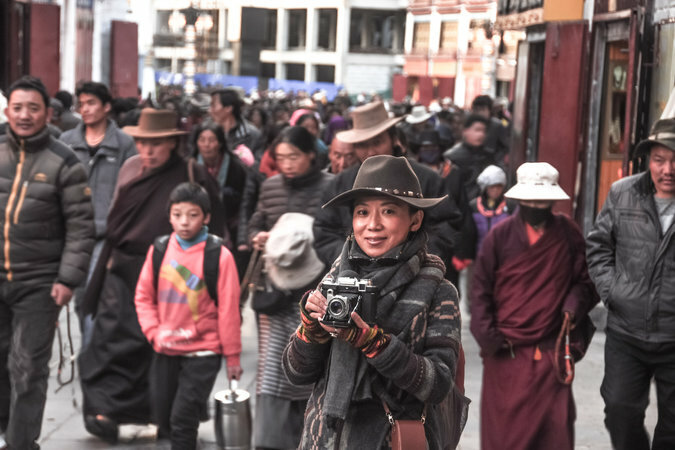 Historically there have been very few female living Buddhas in Tibet. She was the most famous. In 1959 she followed the Dalai Lama and escaped to India. 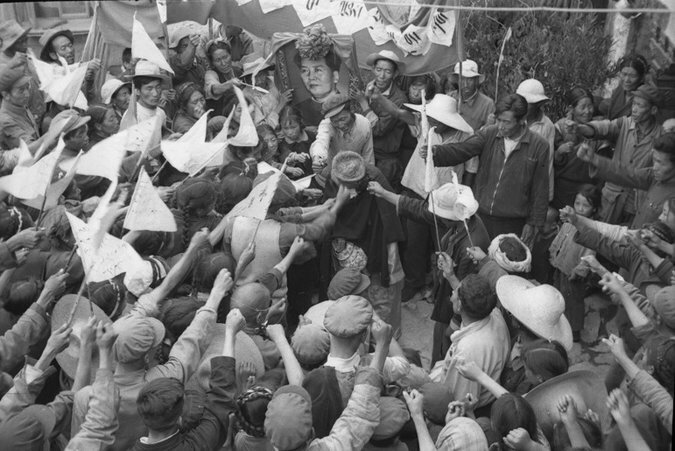 But she was persuaded by party cadres to return to Tibet and was held up as a patriot who had “resolved to shun the darkness and embrace the light.” She even met with Mao. 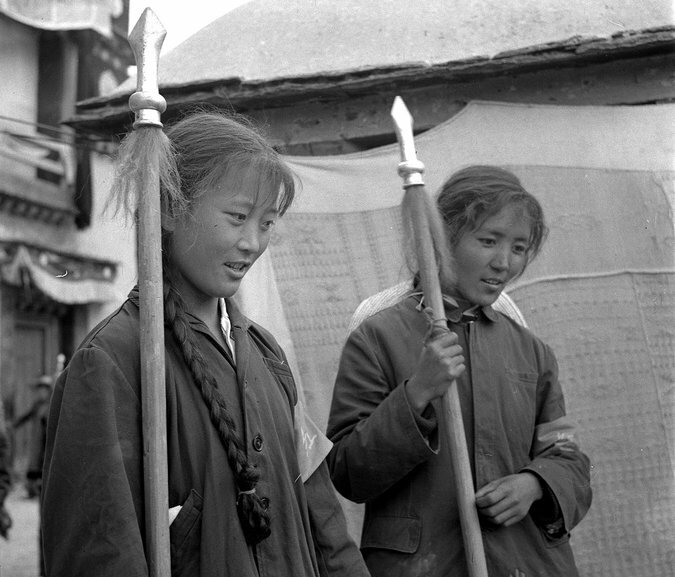 After the Cultural Revolution started she was labeled a “monster and demon” and humiliated at struggle sessions.